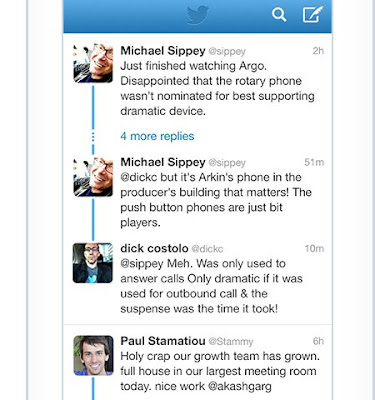 Twitter updates its Android and iOS apps, to make it easier to discover and follow conversations in your home timeline. People come to Twitter to take part in these real-time, global, public conversations. To date, such exchanges haven't always been easy to follow. 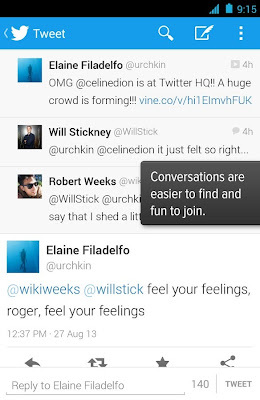 With this in mind, Twitter have now made it easier for you to see conversations as they're taking place. Additionally, you can now report individual Tweets for abuse or spam directly from Twitter for Android. 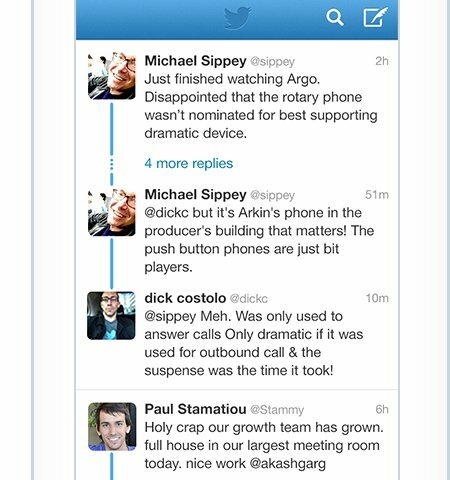 This feature will be rolling out gradually; it's already available on Twitter for iOS. Twitter have improved the Twitter for Android experience on entry-level Android smartphones with limited storage, such as the HTC Explorer, Samsung Galaxy Y, Micromax Bolt, etc. For these devices, the Twitter app is now less than half the previous size, making it much faster to download and easier to install.